"Come and get your free DNA changing microchip now and live an extra 200 years"
Globalization has moved a step closer, Pledging $3bn (£2.3bn) to fund medical research over the next decade, Mark Zuckerberg, the Facebook founder and his wife Priscilla Chan claimed last week their ultimate goal was to "cure, prevent or manage all diseases by the end of the century". 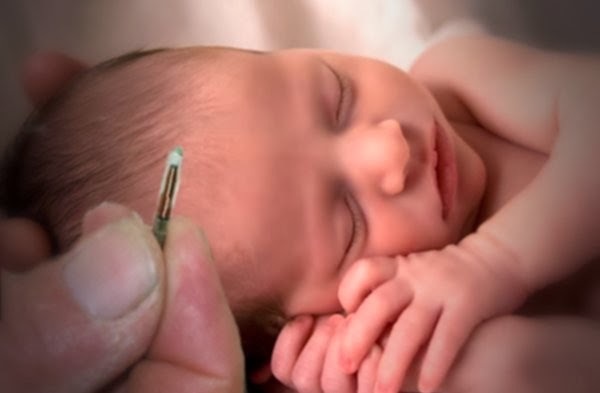 Zuckerberg who claimed an intelligent microchip could be made to re-write DNA in a person’s body changing diseased cells into healthy ones allowing the person to live a longer, disease free life. There would be other benefits with the wonder chip, it would also hold your entire medical records your identity number and you would use it to pay your bills at the supermarket and manage your bank transactions. The caveat being, without the chip a person would be incapable of working or buying anything in a cashless society, the government would be able to track your every move and probably hear every conversation. And the door would be opened for globalization. Ephesians, 12:6 for our struggle is not against flesh and blood, but against the rulers, against the authorities, against the powers of this dark world and against the spiritual forces of evil in the heavenly realms. Revelation, 9:3 and out of the smoke locusts came down on the earth and were given power like that of scorpions of the earth. 4 They were told not to harm the grass of the earth or any plant or tree, but only those people who did not have the seal of God on their foreheads. 5 They were not allowed to kill them but only to torture them for five months. And the agony they suffered was like that of the sting of a scorpion when it strikes. 6 During those days people will seek death but will not find it; they will long to die, but death will elude them. Revelation, 14:9 A third angel followed them and said in a loud voice: “If anyone worships the beast and its image and receives its mark on their forehead or on their hand, 10 they, too, will drink the wine of God’s fury, which has been poured full strength into the cup of his wrath. And Mark Zuckerberg along with Yuri Milner and Stephen Hawking are to begin a $100 million search for alien life on a nearby Earth-like planet. The rocky planet is believed to have the right conditions to harbor life, which reminds me of a speech Ronald Reagan made of an alien threat at Fallston, UN & National Strategy Forum in 1985. Another push then, for globalization. Hmmm, $100 million to look for alien life. More proof they haven't even made it to the moon. Two donuts of seething radiation that surround Earth, called the Van Allen radiation belts, have been found to contain a nearly impenetrable barrier that prevents the fastest, most energetic electrons from reaching Earth. NASA!